Currently the UK is experiencing a great boom in its rental sector. The majority of the time, your tenants will be polite, responsible people who will treat both you and your property with respect. Unfortunately, as any experienced landlord will tell you, at some time or another you will be faced with a tenant who is neither polite nor responsible. The key with these situations is to try and remain professional at all times, and also go through the proper channels when dealing with a problem tenant. 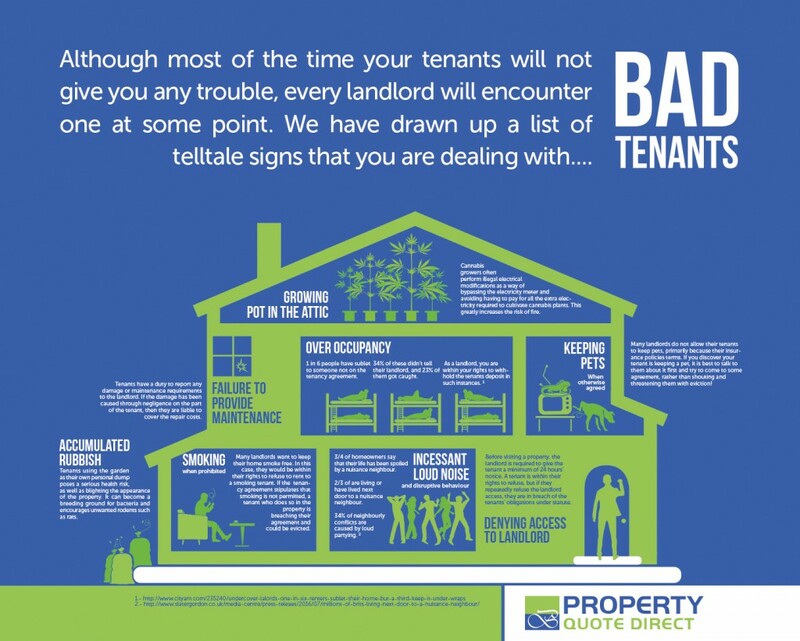 Our infographic below sheds a little light on the topic, and lets you know what the warning signs are that you may indeed have a bad tenant.